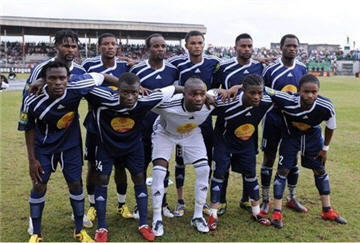 DR Congo side TP Mazembe believe that they can become Africa's most successful club in the history of the Club World Cup. The African Champions League winners face Pohamba Steelers of South Korea in their first match on 11 December at the tournament in the United Arab Emirates. Should they progress, Argentina's Club Estudiantes de La Plata will be their semi-final opponents, with Spanish side Barcelona likely to reach the final from the other half of the draw. Despite the daunting level of opposition, Mazembe's French coach Diego Garzitto insists that his side can make an impact. "We hope that we can do better than Al Ahly, who have finished third at the competition," Garzitto told the BBC's African Sports programme Fast Track. "So we are preparing to meet Barcelona - we want to take second place or, if it's possible, to win the cup." "Anything can happen in football. We are a big team and we know that we can succeed." Egyptian side Al Ahly took third position in 2006 and Etoile du Sahel of Tunisia were fourth in the 2007 edition of the competition that features the seven continental champions. Mazembe, who prepared in Zimbabwe ahead of the Club World Cup, are counting on the inspiration of captain Tresor Mputu Mabi, one of the finalists for the BBC African Footballer of the Year award. "Mputu is the best striker in Africa right now," club spokesman Eddy Kabhelu told BBC Sport. "We also have Kaluyituka Dioko, who was top scorer in the African Champions League, and the ambition of the players is to put on a good show at the competition." Mazembe are rebuilding their squad for next year, as they look to defend their Champions League title. They have signed three players from Zimbabwean club Monomotapa - Mthulisi Maphosa, Chris Semakweri and Daniel Zokoto. They have also acquired Zambia defender Hichani Himoonde, though none of the new players is registered for the Club World Cup. The club is likely to lose Mputu and several other key players who seem destined for clubs in Europe. "We already have a replacement for Mputu," said Kabelu. "It won't be difficult, next year will be another good one for TP Mazembe."